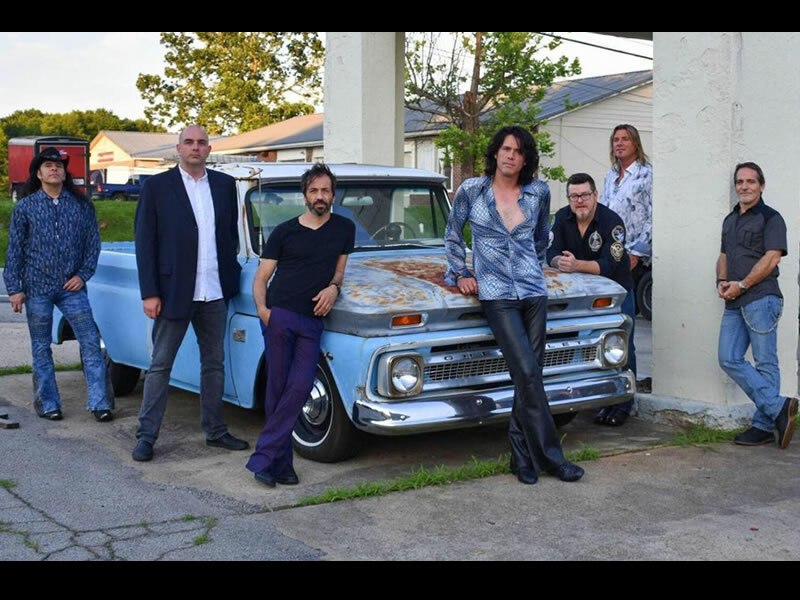 KICK -The INXS Experienceis the USA’s most captivating salute and tribute to the internationally acclaimed rock band, INXS. Formed in 2014, two years after INXS stopped touring, KICK -The INXS Experience has beautifully managed to capture the spirit of INXS in both its sound and live performance, bringing the highest level of musicianship to the audience while showing a true passion for the music of INXS. Vocalist, guitarist, and singer songwriter Cory Massi is the founding frontman of KICK, and has long held a respect and admiration for the late great Michael Hutchence. Massi even auditioned for the reality TV show, Rockstar: INXS, in 2004, where contestants competed to become the new lead vocalist for INXS. What convinced him to audition? “I loved Michael’s singing and his personality,” notes Massi. “I saw INXS when I was a teenager in ’88 and ’89; they were great, and the people were just gaga over them. Michael left a big impression with his star power; he really had it, that guy. Our range is similar and I just went for it. I had to sing “Mystify” acappella so I was kind of nervous because I didn’t have a band behind me. There was a camera a foot away from my face and it was out of my comfort zone; I would probably still feel uncomfortable today. I didn’t get the gig: I was one of the last people to try out and I think by the time I auditioned they had already made their selection. No excuse: it was a good experience. We include “Mystify” in our set and when I sing it, I have my band with me and we love the music, so we play it with a lot of heart.” KICK is already garnering the attention, admiration, and accolades of well- seasoned “ears” in the music industry.